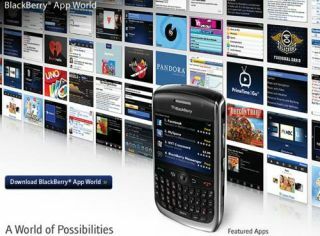 Research in Motion has been hit with a lawsuit following the BlackBerry outage, which left millions of customers without internet service, earlier this month. The class action suit has been filed on RIM's home turf in Canada by the Consumer Law Group in Quebec, which claims it is acting on behalf of customers affected by the problems. A statement from the group said the writ was made "on behalf of individuals who have BlackBerry smartphones and who pay for a monthly data plan but were unable to access their email, BlackBerry Messenger service ("BBM"), and/or Internet for the period of October 11 to 14, 2011. "The class action involves RIM's failure to take action to either directly compensate BlackBerry users or to indirectly compensate BlackBerry users by arranging for wireless service providers to refunds their customers and to take full responsibility for these damages." RIM said it would be making a statement on the matter in due course, but had yet to receive a copy of the lawsuit. The class action suit caps a torrid few weeks for the ailing smartphone giant. Earlier on Tuesday its stock price dipped following news that a much-needed BlackBerry PlayBook software update had been delayed until February. The company had previously attempted to return to its customers good graces by offering £63 in free premium app as an apology to those affected.